We are a fully insured family run UK and European household & office Removals & Storage business based in W Sussex. Storage available in Angmering W Sussex & Storage in the Dordogne & Limousine France via our partners. regular full/part loads to and from France. 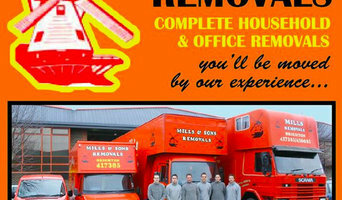 Mills Removals of Brighton are one of only a limited number of established, family run removals companies in the UK. Established in 1984 with a customer focussed approach, we have helped hundreds of customers and families move home and office throughout Sussex and the South East. We provide a bespoke, professional removals service, in either full and part loads, and can always be relied upon. We can reduce the stress of moving house by offering our no-fuss removals services. From working cost effective hourly rates to man and van services, we do everything we can to keep costs down and make the entire moving process quick and straightforward. We provide removals from the Brighton area and across Sussex to the Highlands of Scotland and elsewhere in Europe. For more information, or to discuss your specific requirements, please call us on 01273 776 570. Town and Country Removals have been helping people with removals and storage for over 20 years. We believe that our service is second to none and pride ourselves on being professional and affordable. Love Removals is a Brighton based removals, packing and storage company. Our professional team go out of their way to ensure moving day is as stress free as can be. We don't charge you a deposit and there is no key waiting fee. Contact us today for a free no obligation quote. 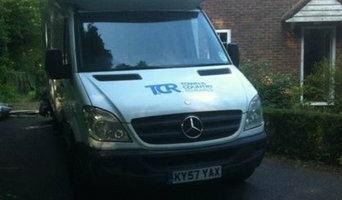 Looking for a reliable removals company in Brighton or Sussex? 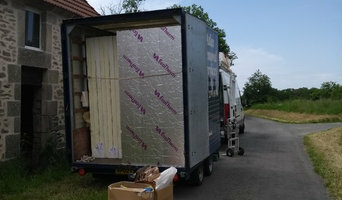 Contact Watson Removals Brighton today. At Out The Box Removals we take pride in offering an efficient and effective removal service, with a growing network of highly satisfied customers. Whether it is home or business moving help you require, we strive to suit your circumstances and budget. Out The Box removals are made straightforward and stress-free with our highly experienced team who handle your belongings with the utmost care and consideration. We provide boxes and also can offer you a packing service, this means we will deal with the stress from start to finish. Access and affordability are two key components of our business philosophy, putting us one step ahead of most other removal services. We work all year round to suit your needs, with no move too large or too small. Whether you want help with whole business or property relocation, or just need a selection of items moving securely, we are happy to assist you. Peace of mind is everything when you’re moving between properties. Our aim at Sussex Removals has always been to deliver outstanding customer service and professionalism. You’ll find that we offer a wide range of services from domestic removals and packing, to storage, international shipping and freight forwarding. Sussex Removals is a long-established local firm, and over the years we’ve built a solid reputation for being reliable, efficient and competitively priced. 500 Reviews on Checkatrade.com confirm that our staff are polite, courteous, and knowledgeable about their work. We pride ourselves on giving each and every customer an efficient and Professional service. With our team of skilled removers we can guarantee that no matter how large or how small a move you're making,Fast Track Removals & Services will ensure that your move is an enjoyable and relaxed experience. We provide house moving services for customers based in Eastbourne, Brighton, Worthing, Hastings, Lewes and surrounding areas. Why should I hire Brighton, East Sussex removal companies? Some house removals will involve total house clearance work – perhaps you’re stripping bare your old place and redoing it before selling it on? Or if you only need a few large items moved, there are lots of removal companies in Brighton, East Sussex that will be happy to offer furniture removal, and may even be willing to take items to the tip for you if you’ve decided to get rid of them. If you find a reliable man with a van in Brighton, East Sussex, he may be able to accommodate you throughout your whole move – helping you with house clearance, taking items to the tip, to storage containers, to salvage yards and finally helping to move everything into your new place. A Brighton, East Sussex man with a van service is often a bit more flexible than a removals company, so consider individual movers as well as large firms when you move. If you’re moving at the same time as carrying out renovations, you may need to liaise with your other contractors as well as Brighton, East Sussex removal companies to make sure the move and house clearance can go as seamlessly as possible. Here are some related professionals and vendors to complement the work of removal companies: . Find removal companies on Houzz. Narrow your search in the Professionals section of the website to Brighton, East Sussex removal companies and man with a van services. You can also look through Brighton, East Sussex photos to find examples of house clearances and moves, then contact the professional who worked on them.